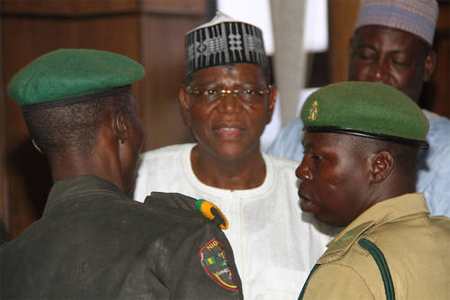 A Jigawa state Magistrate’s Court has remanded former a former governor of the state, Sule Lamido, in prison custody. Lamido is to be in the Dutse prison until May 4, when applications for his bail will be decided, Chief Magistrate Usman Lamin ruled. The magistrate said he needed time to decide on the application for bail and another on the police’s First Investigation Report (FIR) brought as evidence in the case. Lamido is being prosecuted by Ikenna Ekpunobi who obtained a fiat by the Jigawa state Attorney-General and Commissioner for Justice, Sani Gabbas. A copy of the fiat obtained by Ekpunobi and seen by Premium Times showed that Lamido was being prosecuted on a four-count charge of inciting disturbance contrary to Section 114 of the Penal Code, disturbance of public peace contrary to Section 113 of the Penal Code, defamation of character punishable under Section 392 of the Penal Code and criminal intimidation punishable under Section 397 of the Penal Code. 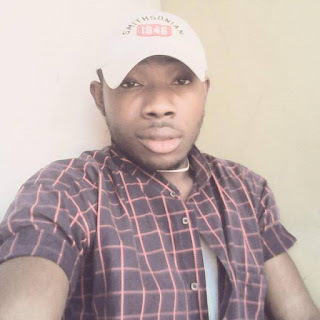 Ekpunobi was supported by two counsel, Yahya Basirka and Aliyu Kiyawa. After the court ruling and despite the heavy presence of security operatives at the court and around Dutse, protest by the former governor’s supporters outside the court forced the police to use tear gas to disperse the crowd. Lamido was arrested on Sunday in Kano and his houses in Kano and Jigawa searched.